We just love this cover! Marie Claire Australia! 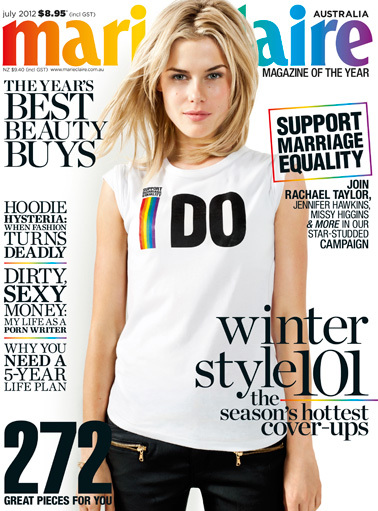 This cover is phenomenal and Rachael Taylor looks awesome. The former Charlies Angels star has joined other celebrities in a campaign to support marriage equality. Hats off!…. BTW can we get a shirt? Charlie’s Angels has been renewed? ?